Not too much you might think, but very soon, all five have been the location of silent discos attended by the intrepid organisers of new South Manchester night, Silence of the Jams. "We've had so much fun at silent discos in the past, we wondered why Whalley Range should miss out! It might not have the glitz and glamour of some of the other places we've partied, but we feel like it's the perfect location to put our experiences into practice and have a proper knees up" said Kat Clayton, one of the three friends behind the night. 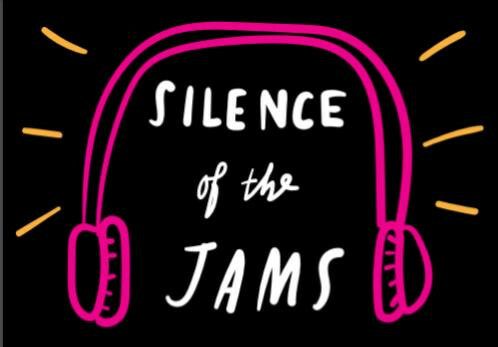 Featuring an eclectic mix of music across the three channels – Silence of the Jams will take place at Whalley Range institution the Carlton Club, with each of the three curating a channel of their own for the evening. "We all have slightly different tastes, and you might see that as the night goes on. People can expect a pretty diverse range of music: pop, indie, ska, RnB, northern soul, 60s, 70s, 80s... even a bit of rap and emo! But even if you don't know what genre is coming next, you will know that every song will be a party tune!" Silence of the Jams is taking place at the Carlton Club in Whalley Range on Friday 7th December. You can buy your advance tickets for £5 from Ticketsource or £7 tickets by card on the door.